Electronic Typewriters to be upgraded and used as letter quality printers by any microcomputer that is equipped with a Centronics printer port. The board fits inside the typewriter and a ribbon cable extends to the computer. The system is transparent and passes characters from any word processor software or from program print routines of all kinds. The device does not alter the IBM, all connections are either plug or clip on. The price is $275 and for details contact Cybertext Corp., 1695 10th Street, P.O. Box 860, Areata, CA 95521 or call (707) 822-7079. H & H Trading Company has released Stock Tracker 2.6 for the TRS-80. It automatically gets stock data from the Dow Jones Information Service and processes it. The computer will process daily price and volume quotes on all securities tracked; retrieving quotes on up to 100 stocks per call. Stock Tracker 2.6 is an enhancement of the Stock Tracker 2.5 which is a keyboard data-entry version. The original Stock Tracker is used to perform technical volume analysis of individual securities, generate buy and sell signals, graphs, and other information on demand. A companion program, called Market Tracker, retails for $225 and is used for overall stock market analysis and trend prediction. 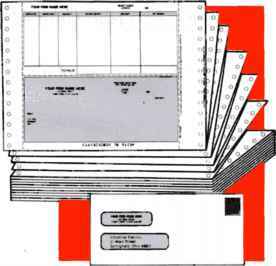 Users are required to have Model I/III (48K), two or more disk drives, TRSDOS, Radio Shack Modem II, telephone outlet, 80-column printer, Stock Tracker version 2.5 ($395), Videotex or other subscription to Dow Jones and/or CompuServe electronic data bases. Stock Tracker version 2.6 retails for $295, and there is an annual maintenance fee of $100 for updates whenever the data base protocol or format is altered. For information, contact H & H Trading Company, P.O. Box 549, Clayton, CA 94517 or call (415) 672-3233. My Personal Diary is a year-round computerized log of events and daily happenings. A two page display for each day of the year shows notes, registers birthdays, anniversaries, and other yearly recurring events. The calendar display highlights important days for each month. Printout capability is included. Available for the TRS-80 on diskette for $29.95 plus $1.50 s/h from International Computer Products, 346 Western Ave., Los Angeles, CA 90004.
under CP/M-68K while maintaining compatibility with the vast library of CP/M 2.2 software. The TriSoft CP/M-68K operating system runs in conjunction with CP/M 2.2. Easy context switching allows the user to go quickly from one to the other. While under CP/M-68K, the Z80 processor acts as an I/O slave, freeing the 68000 for more tasks. 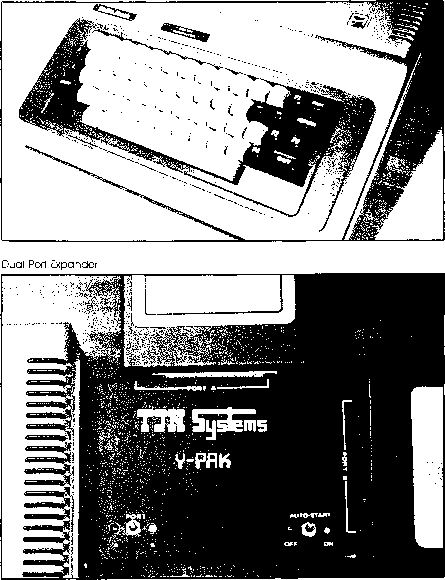 Support utility programs and a 68000 assembler are included. An industry standard C compiler is also available. For more information contact TriSoft, 4102 Avenue G, Austin, TX 78751 or call (800) 531-5255, Ext. 784.